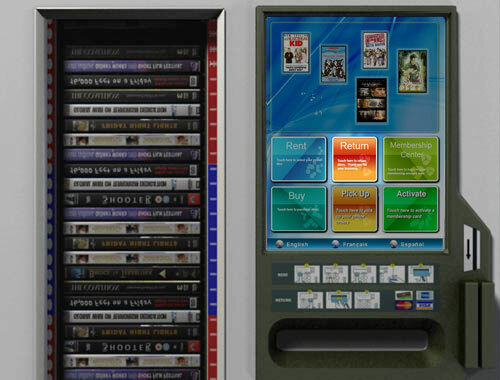 Would you like to easily find the nearest kiosk around you with your Wanna See Movie available? And do you wish to have the disc reserved before you get a chance to pick it up? 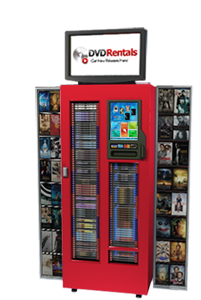 All you need to do is to register as a member and make a Movie Reservation follow our directions, then Pick up your discs from the machine. Easy and fast! 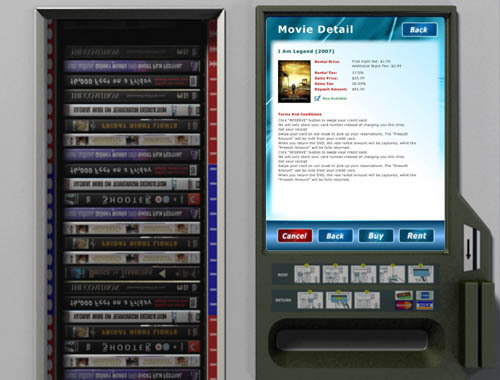 Moreover, you could choose to reserve either by Movie or by Kiosk, per your own preference. 1. Under Movies you could look for a movie either by browsing through the Genres or By searching title. 2. 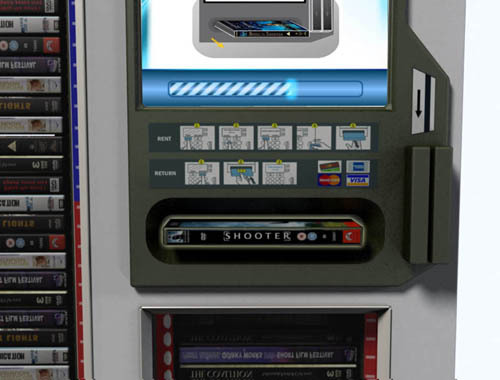 Click into the Movie Detail Movie Detail you should be able to see a list of kiosks with this movie loaded. Some of the Reserve/Buy buttons might be INACTIVE as the disc is either rented out or reserved already. Just choose one ACTIVE to Reserve it. 3. Read through the Terms and Conditions, input the card information, and flag Reserve. Then click Reserve/Buy to submit your request for reservation. 1. If you've already logged in as member. 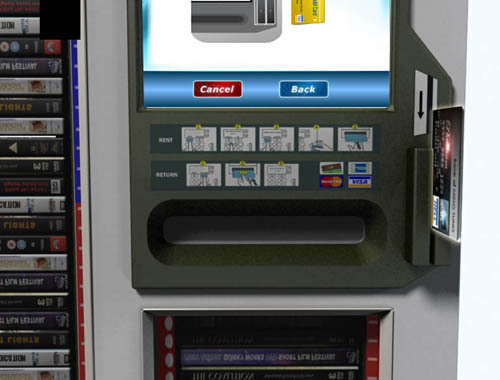 We will find out the nearest kiosks around you when you step into Locations, by the location you provided on Member Profile. Or you can switch to another location by inserting the Zipcode on the right form. If you are not logged in yet, you will be asked to provide zipcode under Locations for us to search kiosks in that area. 2. For any kiosk been found will be marked on the Map as below. Click on it to see the detail location. 3. 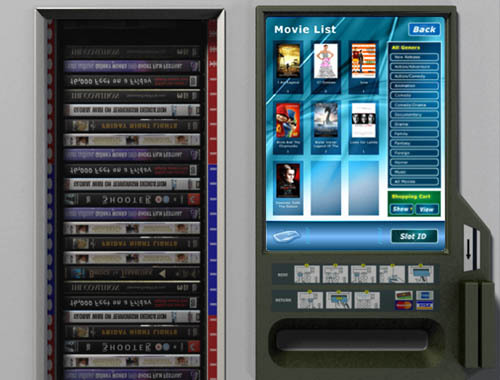 Click View Discs on This Kiosk, search through all the movies available. 4. To Reserve a certain Movie, click into Movie Detail and Reserve/Buy it. 5. Read through the Terms and Conditions, input the card information, and click Reserve. Find the Disc you like. 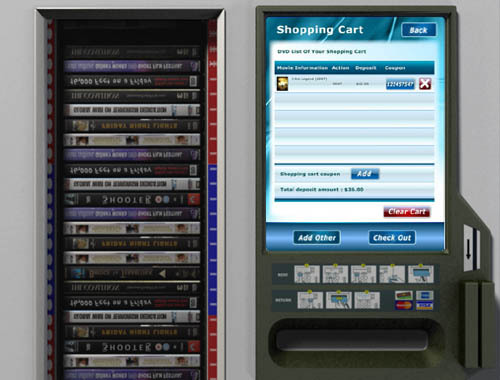 Press "Rent" to add the Disc into the shopping cart. You can continue to choose other Discs, or simply press "Check Out". Insert Chip n Pin card. Take your Discs and enjoy. 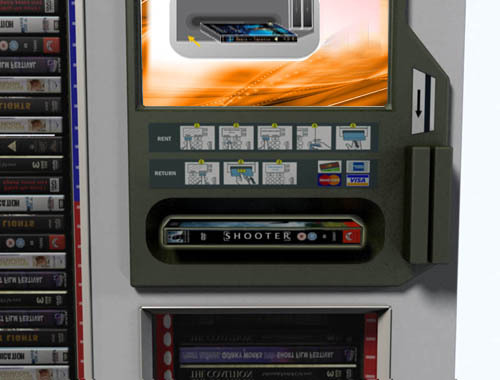 Insert the Disc. That's all.